We’ve now entered the world of multiplication facts with my youngest daughter. And, even though it’s my second time around this block, I’m still looking for new and fun ways to help her practice. 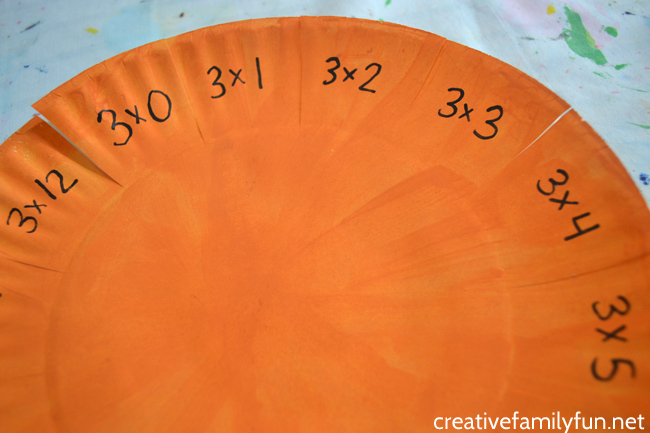 I think I found a winner with this Paper Plate Multiplication Activity. They’re fun, colorful, and perhaps most importantly, my daughter loves them. 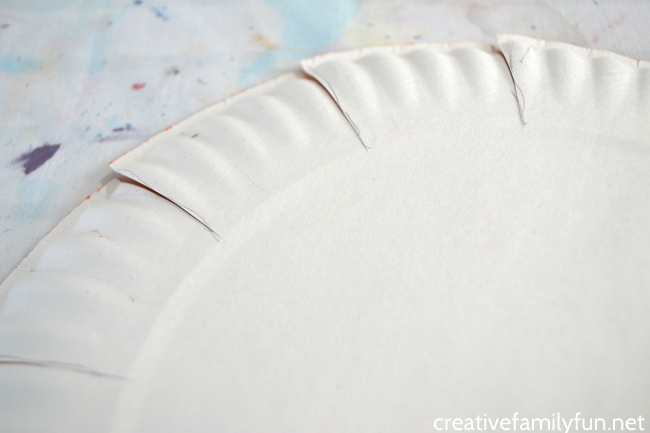 Grab your craft paint and completely paint the top of one of your paper plates. Set aside and let it dry. Note: If you’re short on time, this step of the process can be skipped. I love the color and think it makes the activity much more fun and colorful. But, you can certainly leave both of your plates white. Use your scissors and cut each section from the edge of the plate to the first dividing line. 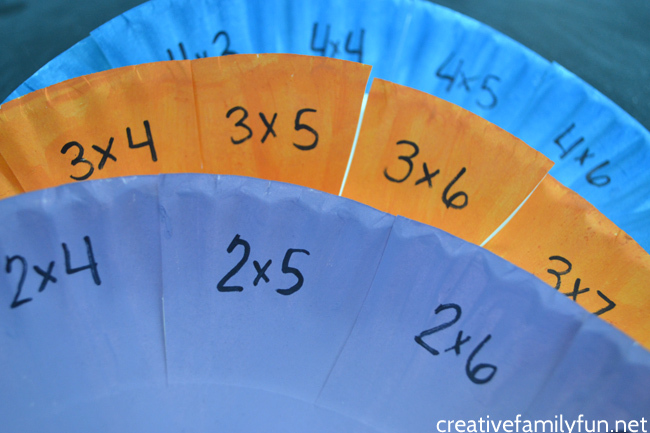 Flip your plate back over and write your multiplication facts on your cut sections. Write one math fact per section. Start with your times zero fact and write your facts in order all around the circle. In the center of your plate write a number representing which set of multiplication facts are on your plate. Next, take your 2nd plate and apply glue to the center section. 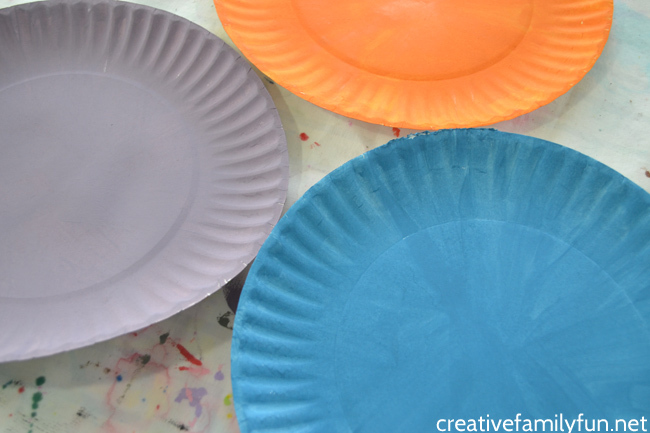 Place your colorful plate on top of the second plate and glue them together. Press down for awhile and let dry before your continue. Note: Do not apply glue to the textured edge section of your plate! You need your edges to remain separate. Once your glue is dry, flip up each of your sections and write the answer underneath. That’s it! 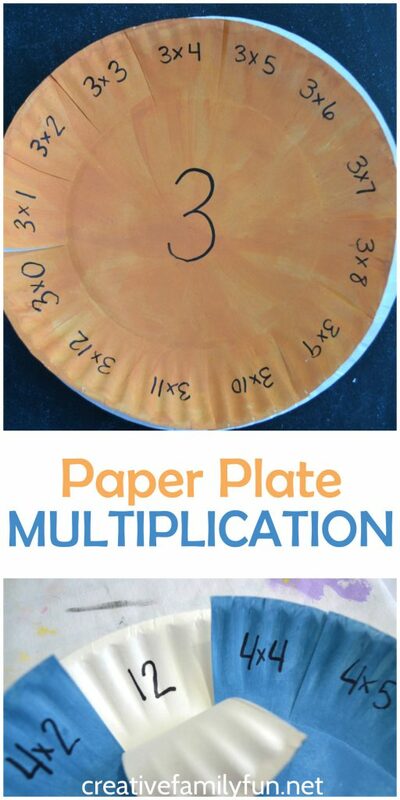 Your paper plate multiplication practice wheel is ready to use! The easiest way to use this (and my daughter’s favorite) is to pick it up and use it to quiz your self on multiplication facts. You can check yourself by peeking under the flap. These are also great to use with with pairs. One child can use their paper plates to quiz their partner. 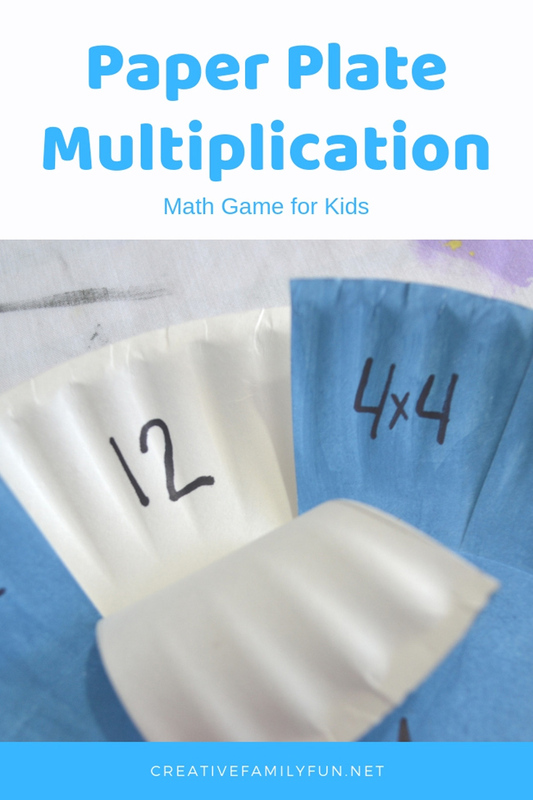 These multiplication facts are so easy to take on the go. 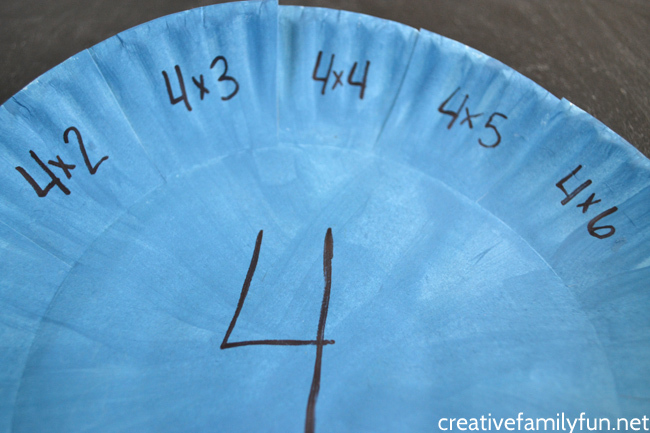 If you’re short on time and need to take some school work with you to sports practice, a waiting room, the backseat of the car, etc., just grab one of your multiplication paper plates. There are no small parts to lose. 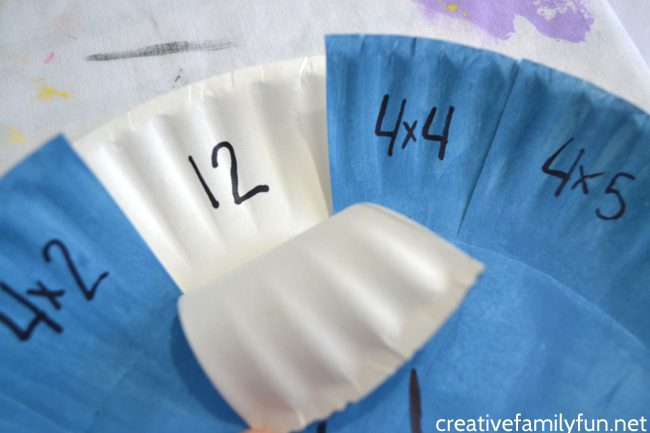 How would you use one of these paper plate multiplication facts? One of our favorite ways to practice math at home is with a fun game. Here are some awesome math games that I know you’ll love!